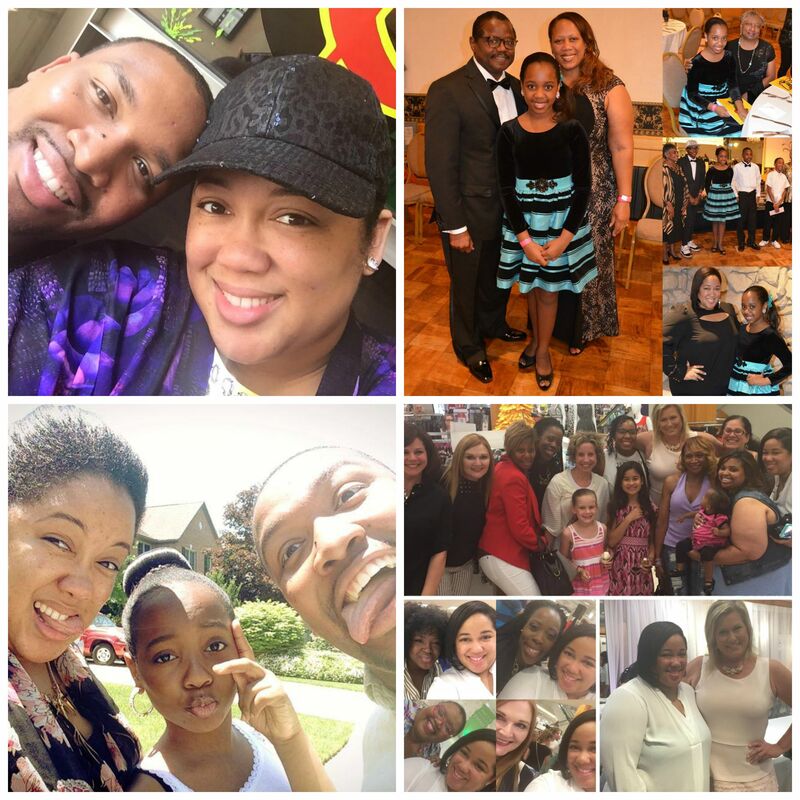 Summer 2015 is winding down and as I said in yesterday’s post, it’s been a GREAT one. Thinking back, so much has happen this summer. I’ve grown in many ways and through it all, I’ve learned so much. 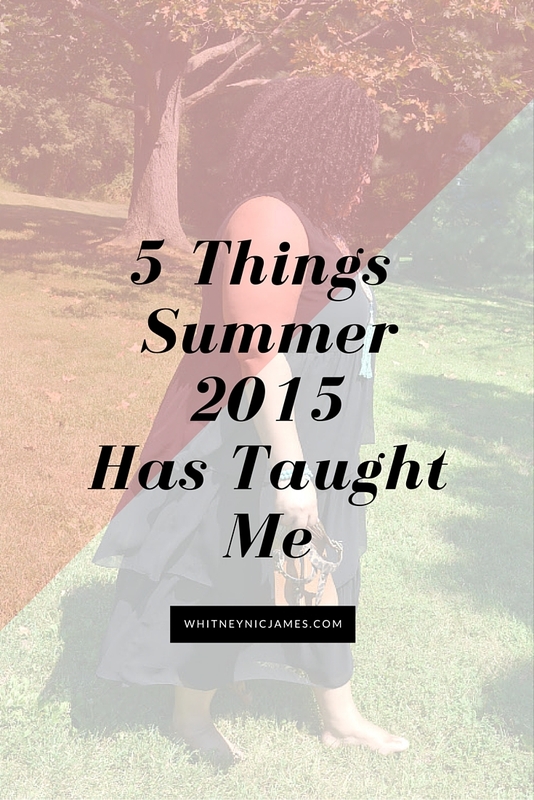 Here are 5 things Summer 2015 has taught me. 1. My family is the best. I’ve known this for years, but I really realized how awesome my family was this summer. We’ve been able to spend a lot of time together through traveling, working together or just hanging out, and it’s been great. I genuinely appreciate their crazy quirky ways (lol), they’re unwavering support, constructive criticism and the love they have (and constantly show) hubs. They treat him like one of their own and seeing that warms my heart. My family has become the (very) few friends I can totally depend on…and I’m OK with that. 5 lessons learned from Summer 2015. 2. I really LOVE Twitter. I’ve been on Twitter for years, but this summer I’ve really become a twitter fan. There’s SO MUCH great information out there and there’s also a lot of funny, intriguing info too. A twitter feed is like a huge ongoing conversation; one big game of telephone. Once you sift through the “mess” on Twitter, it really is an awesome platform to promote, engage and learn from. Check out this post for more of my thoughts on social media. 3. I (really) can make a living being a blogger & social media consultant. 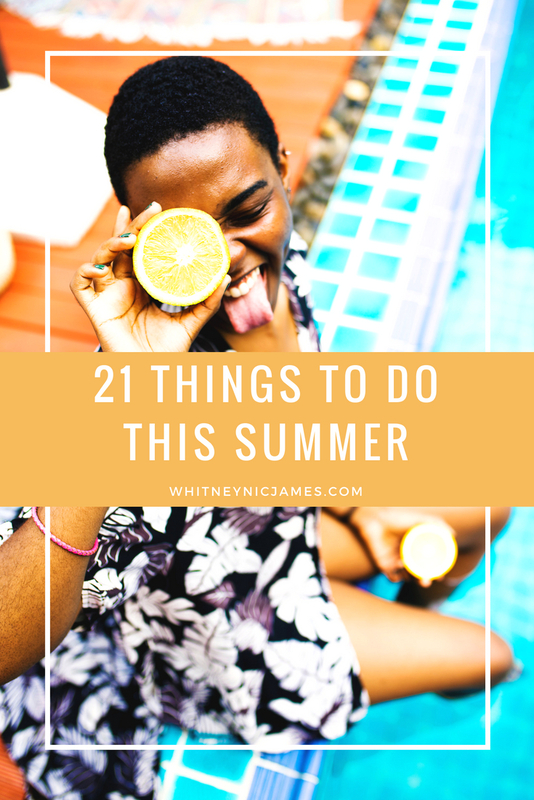 It’s no secret that I’m pretty serious about this blogging thing. And over the past few months, I’ve been serious about helping others understand and use social media properly. I’ve been able to generate income from blogging and social media consulting and it’s been wonderful. I genuinely enjoy creating content and helping others with social media, so to make money while doing both has been nothing but a blessing. Hard work, research and taking your time before diving into a new venture are the key factors that have helped make blogging and social media “a business”. 4. Downsizing really isn’t that bad. In this post I shared that hubs and I were downsizing. This decision was a “gown up” decision and to be honest, I griped about it for months. I just wasn’t feeling the whole live with less thing. But after reconsideration and talks with hubs and my parents, I came to realize that downsizing was indeed a wise decision. Especially since hubs and I are planning to purchase our first home and have our first child in a few years. Now is the perfect time to save and learn to live with less, all while living in an affordable chic downtown-loft like space in one of the best counties in the country, close to my parents. In 2-3 years, we’ll have a nice down payment for the home of our dreams and less financial stress. After all that is the American Dream, right? So tell me, what do you think about my summer lessons? 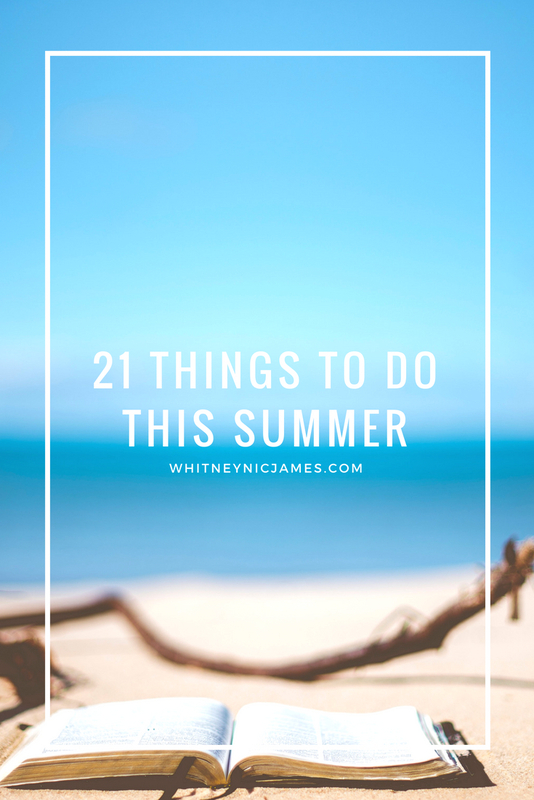 What are somethings you’ve learned during Summer 2015? Let me know! Thanks for reading and for supporting me throughout the summer. My blog has really grown and I owe you, my readers, a HUGE thank you! I couldn’t have done it without you. Until tomorrow, be blessed and stay safe…XO!